open studio 2014 :: The Observatory competition entries in the Salt House, West Bay, Dorset. 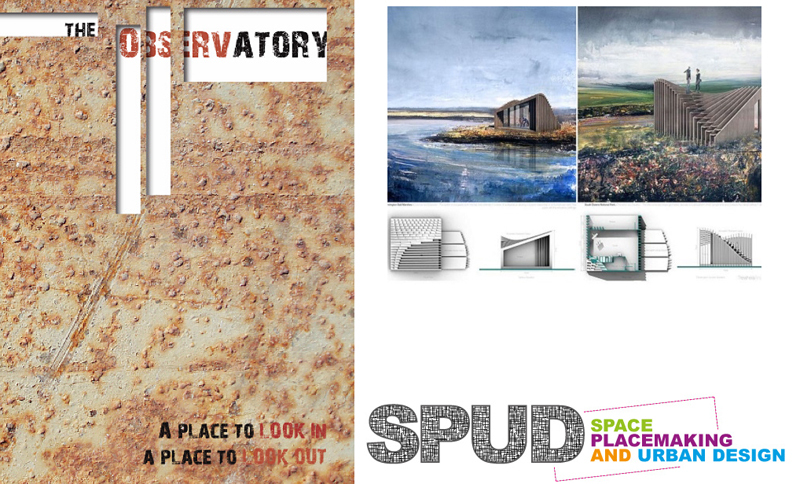 DIVAcontemporary Studio is pleased to host The Observatory Design Competition Exhibition from SPUD at The Salt House, West Bay. The exhibition showcases the long-list of designs for The Observatory structure, which have been created through collaborations between teams of architects, artists, engineers and students from around the UK and internationally. The exhibition will tour the following venues, with the support of SPUD’s project partners, throughout March 2014 and will allow the public the opportunity to express their views about the proposed designs. The Observatory structure will enable 12 artists to undertake close investigation covering geology, geography, heritage, social history, nature and environment, leading to interpretation and a richer perception of place that will be shared with visitors. The winning design will be announced in April 2014. This entry was posted in links, open studio, partnerships, SPUD, visual. Bookmark the permalink.